Location: Near Times Square, New York. Exact address supplied after you register. The topic: "Communicating effectively across cultures"
Learning how culture shapes the way we communicate and identify ways to adapt our communication style (verbal and non verbal) to be more effective when navigating across cultures. 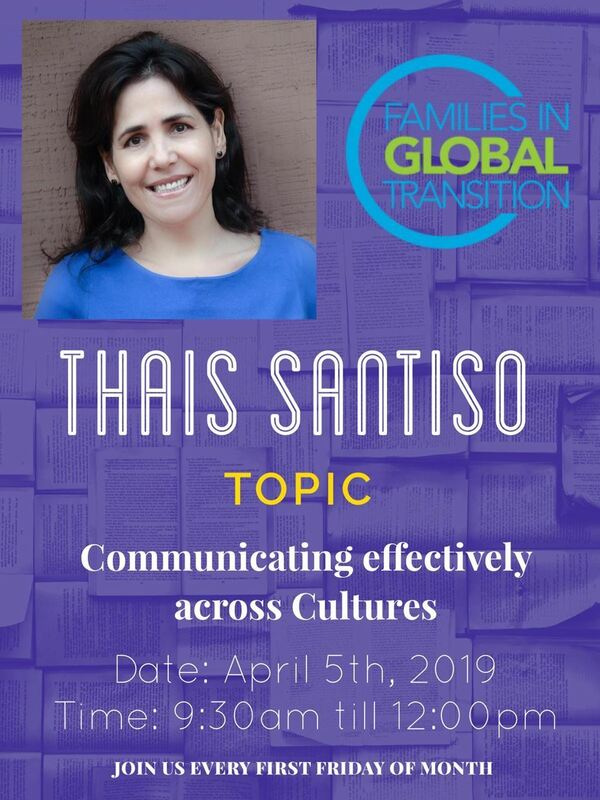 Thais Santiso is an Intercultural Trainer and Consultant. A former University Marketing Instructor, she offers a global, cross-cultural perspective, having worked and lived in different countries. Founder of Adapta, an agency for intercultural training, she provides assistance to relocating business professionals and families to facilitate their integration within the host country from both a logistical and intercultural perspective.